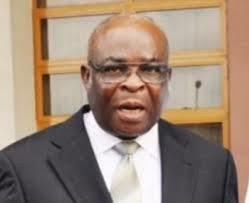 The Coalition of United Political Parties (CUPP) has alleged that the National Judicial Council (NJC) has sealed a deal with the Presidency to forcefully retire suspended Chief Justice of Nigeria, Justice Walter Onnoghen. The deal, the group further alleged has been struck with the acting Chairman of the Council, Justice Umaru Abdullahi (retd). This is even as unconfirmed report says the NJC will on Monday at its emergency meeting confirm Justice Ibrahim Tanko as the acting Chief Justice of Nigeria, after exonerating him of the petition against him. The council had earlier fixed Monday to consider the queries separately issued to Onnoghen and Tanko over the petitions written against them. However, CUPP in a statement issued in Abuja on Sunday, through its 1st National spokesperson, Ikenga-Imo Ugochinyere, disclosed that the coalition had been availed a copy of the purported draft resolution of the NJC handed down by the acting Chairman of the Council, Justice Umar from Katsina State, former President of Appeal Court and Buhari’s former classmate) for possible adoption at the end of the meeting of the council today. According to him, “the compromised draft resolution contains the decisions that the Chief Justice of Nigeria, Justice Walter Onnoghen be forcefully retired while the usurper of his office, Justice Tanko Mohammed be confirmed as the substantive CJN. It also contains the defence of Justice Tanko that as at the time he made himself available in the Villa to be sworn-in as acting CJN, did not have much of a choice as security operatives were detailed to bring him to the Villa on his way from the Mosque and he was only told why he was brought to the Villa when he was already in the Council Chambers. “The acting Chairman of NJC, Justice Abdullahi, has already sealed a deal with the Presidency; he has received the draft resolution and had already commenced his role of persuading members of the NJC to support the government and adopt the resolution. “Justice Abdullahi who happens to come from Katsina State and was also a classmate of President Muhammadu Buhari at the Katsina Government Secondary School, had reached certain understanding with the Presidency. “Nigerians will recall that this same Umaru Abdullahi was one of the first persons recruited by President Muhammadu Buhari to defend his controversial certificate saga by claiming that Buhari wrote the WAEC exam. “The members of the NJC who have refused to be compromised have been promised that they would face the government music. At least, a couple of the NJC members have been told that they can only say ‘NO’ if they are sure nothing can be found on them, otherwise they should comply. “Justice Abdullahi is completely compromised and should step aside for compromising the meeting and decisions of the NJC and receiving a draft copy of resolution from the Presidential Villa. The precedent of the decision of the NJC used in the case of Abia State has been excused and Justice Tanko Mohammed absolved of any collaboration with the executive to violate the Constitution. The bridge of the NJC and the entire judiciary is at the brink of falling. The FG is prosecuting Onnoghen before the Code of Conduct Tribunal sitting in Abuja over alleged non-declaration of five of his domiciliary accounts. Meanwhile, President Muhammadu Buhari has suspended Onnoghen as the CJN, acting on the strength of an ex parte order granted by two members of the tribunal which suspended Onnoghen and ordered the president to swear in the next most senior justice of the Supreme Court as the acting CJN. Controversies have however been trailing the suspension which is being challenged at the Court of Appeal. Good riddance of bad rubbish. Onnoghen was a disgrace to the judiciary. Although the govt handled his case badly,he has himself to blame. He owes nigerians an apology. CUPP is a nuisance, a promoter of corruption.